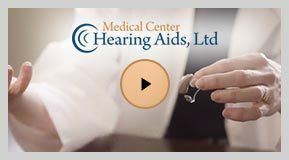 Hearing Aid Fitting and Dispensing Services: After the hearing aid evaluation is completed, your aids will be ordered and a hearing aid fitting appointment will be made. At that time, the aids will be programmed via computer to your specific hearing loss and needs. Your hearing aids may also require some modification to afford a true customized fit. We will spend time working with you to learn how to use and take care of the aids. If you have any wireless accessories, we will set them up and show you how to use them as well. This appointment usually lasts about an hour and a half. When you leave, we’ll set a follow-up appointment for you to come back in about two weeks. At that time, we’ll review your experiences with the aids and answer questions you may have. We provide you with counseling and communication strategies, and possibly make additional programming changes to customize and improve your fitting. Further follow-up visits may then be scheduled as needed. Hearing Aid Checks and Repair/Warranty Services: Whether you purchased your hearing aids from our office or not, we offer cleaning services for your aids, and will check the function of the aids in our electroacoustic analyzer. If your hearing aids are in need of manufacturer repair, we will handle that service and check the aids when sent back to verify that they are performing to specifications before returning them to you. Behind-the-ear loaner hearing aids are available for use while the aid is out for repair. Most hearing aids come with a two to three year manufacturer warranty which includes repair and loss and damage. Extended manufacturer warranties are available. We will gladly provide you with up to a four year warranty upon request (additional fee will be applied). If a desired warranty is not available through the hearing aid manufacturer, we will provide you with information on other types if of repair and loss and damage warranties available to you through outside companies. Real-ear measurement: A small tube attached to a microphone is inserted into the ear along with the hearing aid, and the output of the aid, as modified by the ear canal, can be measured to assure adequate amplification through the speech frequencies when setting or programming the aid. Battery sales: We stock fresh Rayovac mercury-free, zinc air hearing aid batteries in all sizes: 10 (yellow). 312 (brown), 13 (orange) and 675 (blue) , as well as rechargeable hearing aid batteries for the Siemens e-charger. Twice each year, we offer a sale on all zinc air batteries. This is an opportunity to stock up on batteries at a low price, since these air cell batteries have a shelf life of up to three years. Watch for these July and December sales in your mail or on this site.